Since the first Buckham Fair in 2008 we have raised £512,500 for the Weldmar Hospicecare Trust, Julia’s House Children’s Hospice and The Dorset & Somerset Air Ambulance. To mark our tenth anniversary we are introducing a host of new spectacles and attractions, including a World Guinness Book of Records attempt to have the largest number of dogs sitting simultaneously on a command where anyone with enough confidence in their dog can get the chance to create a Brand New World Record. For the first time we are proud to announce that The Devil’s Horsemen Display Team will be performing in the main ring and after a two year absence we are delighted that the Stunt Dogs of Film and TV will be returning with a brand new display – not to mention the Quack Pack duck herding display. Whilst over in the Novelty Ring we are thrilled to be able to announce the return of Neil Morrissey who, after the slight wash-out of last year will now be judging The Dog even more like Neil Morrissey competition. Apart from all of the wonderful displays on offer visitors will also have the chance to enjoy a wide variety of artisan, craft and other trade stands from local suppliers as well as a Food Court with locally produced food and internationally inspired dishes. There’s a classic car display, a funfair and the opportunity to take part in all kinds of horse, pony and dog classes on the day. Yes we still provide free parking close to the field and Yes there are plenty of food options that include vegan and vegetarian food and Yes there is a Beer Tent. We are also thrilled to be able to welcome back the support of main event sponsor Kitson & Trotman to this year’s event. 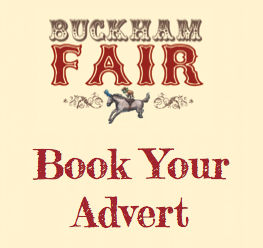 Without the support from all of our sponsors, visitors, traders and suppliers, Buckham Fair simply wouldn’t work. Year-on-year the Buckham Fair team constantly look to improve and provide a happy family day out for all those who visit whilst raising as much money as possible for local charities. As a result of the traffic challenges we experienced in 2017 we have taken new measures to improve and greater facilitate all traffic movement and signage for 2018. After ten glorious years we have decided to take a break after this year’s Fair and re-group. Not just to allow the land to recover but to give our neighbours and the good people of Beaminster a break from the incredible patience they have shown us over the last decade. 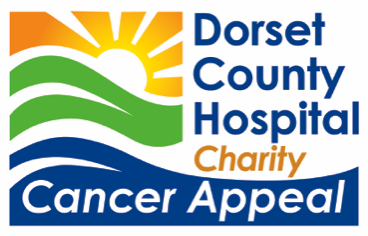 Our aim is to hold an event that is fun for everyone, whilst raising money for local charities. We open our gates at 09:00 on Sunday 19th August. The entrance fee is £8 for adults and children under 16 go free. 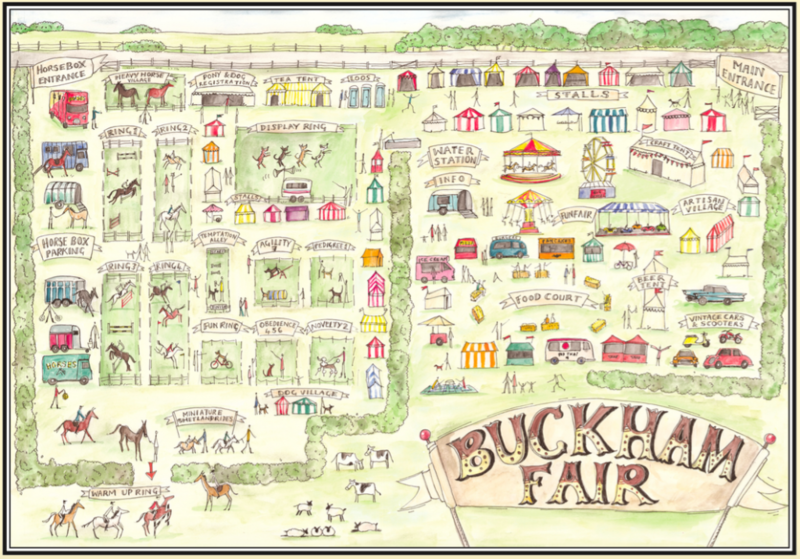 Buckham Fair looks forward to welcoming you back to its Very Special 10th Birthday event. The committee: Martin & Philippa Clunes, Caroline Godwin, Bhavani Hogarty, Caroline Nickinson, Katy Roberts, Vanessa Voegele-Downing and Rosemary Young.